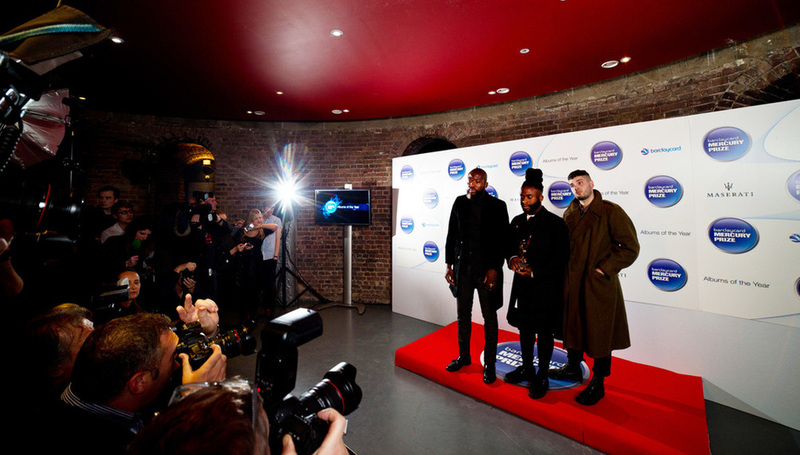 Young Fathers didn’t have to play the press pack’s game when they won the Barclaycard Mercury Prize last week. But in being so resolutely unhelpful, they’ve managed to call into question the whole point of the award itself... John Earls reporter for Daily Star, NME.com and ex-Teletext, reacts to DiS' coverage and ponders the fallout of this year's awards. For national newspaper journalists, there’s an almost unique problem with the Barclaycard Mercury Prize: you can’t prepare your reports in advance. The winner isn’t known until the host opens that envelope at 10pm. Most awards, from magazine dos to the BRITs, will send newspapers a list of winners under embargo on the morning of the ceremony. That way, they can get a skeletal “Double BRITs joy for Ed Sheeran!” type piece planned in advance, with the winning speeches to be filled in later. Forget any conspiracies you may have read about the Mercurys being sorted out days in advance: it really isn’t. A friend was a judge for a few years in the ‘00s, and can vouch that the debates often carry on until moments before the winners’ name absolutely has to be given out to the host. It’s a more valid, truer way of deciding – but for newspapers who go to press between 10:15-10:45pm, having no steer on who’s going to win the Mercury until 10pm is tough. Of course, if you’re one of those 15 or so journalists considered important enough to be on the media table in the first place, then shouldn’t you be more of an expert than most? Not always. Some of those journalists will be writing about film and TV too, and you can’t be knowledgeable about absolutely everything: you might know the name of Kate Tempest’s poetry collection, but could you name all five members of Polar Bear? Also, no matter what your own individual knowledge is, that might not matter if you’re having to write a general news report on the prize. With no exceptions that I can think of, whether you’re a broadsheet or tabloid, you’ll be writing a piece of 300-400 words that needs to be filed by 10:15-10:45pm. When the winner’s press conference doesn’t start until 10:10pm, that doesn’t give you time for nuanced reporting. Again, no matter what publication you’re from, the report itself will conform to one of a few stereotypes: the bookies’ favourite or the bookies’ outsider wins, and here are a few quotes expressing their delight, with a mildly amusing pay-off on what they’re going to do with the £20,000 prize money and/or the trophy. Let’s be clear: this is never going to make for prize-winning writing. That’s not the point: any thinkpieces on what the importance of Artist X winning means to the music industry can wait until the following day’s paper. If you’re writing the Mercury Prize for a national paper on deadline on the night, you’re a news reporter, not a music journalist. Your piece will appear in the news pages. Until recently, that formula worked out well enough for the artists, the print media and the Mercury organisers themselves, in terms of getting generally positive coverage. Elbow, PJ Harvey, Alt-J… These are all eloquent artists who, even faced with a room full of press who probably have no idea what your bassist’s name is, can give a pithy quote. To rewind: the nominees are announced at a press launch which will see all 12 artists speak to the press. This is done on the traditional red carpet, where – if you’re TV, radio or online – you’re allocated an individual slot. So, NME.com, Gigwise, XFM, 6 Music, ITN and co all get about two minutes with each nominee before they move along for the next – inevitably very similar indeed – batch of questioning. This doesn’t apply to the national press. On a red carpet, there’s a disdainful square – no bigger than that for the individual reporter – marked “Print”. All of the nationals, whether from The Guardian or The Daily Star, are expected to shuffle together and share questions with each other at the nominee. Usually, this means an etiquette develops: we keep the questions sane and ones that won’t be annoying to the nominee. Let’s say it’s someone like Arctic Monkeys, who wouldn’t normally talk to the tabloids, but recognises that if they’re going to be up for the award they may as well offer up a few words. We get to ask a question, show that we know what the award is about, they answer jovially enough, next nominee comes forward. It’s a sausage factory, but there’ll inevitably be a few decent stories to come from it, the Mercury gets its good publicity, anticipation starts to build for the day of the prize, hurray. At this year’s launch, Young Fathers were the first artist to be ushered down the red carpet. Although the band hadn’t been written about much before outside the specialist press, here was their chance to explain who they were to a wider audience. Then, the reporters from The Sun and The Daily Star were told to leave the red carpet as Young Fathers had no wish to talk to them. Whatever you think about the rest of those newspapers, the music writers of those two papers are amongst the best, most straightforward writers of any nationals. I’ve written on a freelance basis for the Star since 2011, and haven’t once been told “Make sure you have a go at Band X, we’ve got beef with them.” For one thing, the Star’s 350-wordcount for an interview means there isn’t room for an agenda. It’s simply a news-based piece where they get to say what’s newsworthy about their new album/any collaborations etc. There is much less snark in a tabloid music interview than a broadsheet profile. The same applies to The Sun’s Something For The Weekend music pull-out in a Friday, which has basically seen any big name in music you can think of give an interview, because it too is a straightforward no-nonsense profile. Young Fathers were, in the 14 years I’ve covered the Mercury since first writing about it for Teletext, the first artist to demand a publication be removed from their presence. I was covering the launch for NME.com. I got my two minutes with Young Fathers. It was the most awkward of all the nominees’ interviews that afternoon by far. By the time of the prize itself, I was covering it for The Daily Star. Again, before the prize dinner, the nominees walk the red carpet to do interviews that – if they win – might be used as background for the winners’ press conference and that rushed news report. Again, Young Fathers demanded that the Star, Sun, Daily Mail and Daily Mirror leave the red carpet. Given how unmemorable they were to talk to at the launch, I was happy enough to leave. Then they won. Again, Young Fathers tried to have us thrown out. This time, we refused: we have jobs to do. So do Young Fathers. Kayus Bankole claimed in their press conference that the band want to be heard by as many people as possible. You don’t do that by trying to have publications thrown out and refusing to engage with them. You don’t do that by wilful truculence at the questions put to you. Refusing to smile in photos isn’t rebellion or a principled stance, it’s childish. Young Fathers, supposed embrace of the mainstream and all, had a choice: being principled would have been refusing to accept a nomination in the first place. Once you put yourself forward as being among those 12 nominees, you are agreeing to co-operate in what the award stands for. Part of that is recognising that there’s a TV show to go alongside it. It’s also being aware that the Barclaycard Mercury Prize needs publicity. There’s a wider issue here. Having Nick Grimshaw present the Mercurys was always going to be a difficult sell to those who see the Mercury as music’s equivalent of the Man Booker Prize. Literature’s biggest prize is in a state of flux too, having allowed non-British authors in for the first time this year. But literature will always be seen as more of a niche concern than music, even music that doesn’t necessarily have to rank alongside the pop sphere: in his red carpet interview, Nick Mulvey expressed his delight that the shortlist was more leftfield than he’d expected. But it’s still deemed by Channel 4 to be of enough interest to televise. I’ve yet to read an explanation as to why Lauren Laverne – one of the few presenters with both mainstream and niche appeal – was replaced by Grimshaw, a man so vain that the autocue he read from had his comments marked “Grimmy”. He was an abject failure – he certainly needed that autocue, giving no indication that he’d heard any of the 12 albums himself. It was presented with all the passion of any corporate do and we may as well have been watching The Autotrade Best Gearbox Awards. The between-performance videos championing the 12 nominees didn’t help either. In previous years, the nominees themselves made videos explaining their albums. I can’t understand why this has been dropped in favour of DJs who are usually holiday fill-ins for Fearne Cotton explaining their love for GoGo Penguin. Now, you can argue about the standard of questions put to Young Fathers in their press conference. Certainly, some of the “I’m desperately single – any advice? !” type questions from one of my fellow red carpet interviewers on the night of the awards made me want to punch him, never mind the artists. That’s the difficulty of shoving print all together. But then he wasn’t from a tabloid. Both in the context of the red carpet and the press conference, the difficulty is that the loudest and/or most confident voices will always dominate. Should there be a West Wing-style system where each person gets to ask a question? Maybe. What would be more helpful is for the winner to be announced at 9:30, at least allowing some breathing space for last-minute research before that winners’ press conference. Would that be giving national print press too much preferential treatment? Not really – the print press is still very widely-read indeed as a collective operation. I’m not blaming Young Fathers themselves for an attitude that has won them enemies throughout the national press for their win: they appear to be getting some very bad advice on how to engage with journalists. It all leaves the Mercury Prize itself in a very awkward position. The PR firm for the prize, Carry On Press, is one of the best in the business. They deserve better than the judges now seeming to decide to give the prize to the least eloquent nominee possible. Young Fathers are already on something of a backlash – it’s been pointed out a lot that Dead had only sold 2,300 copies before they won, and had only shifted an extra 531 copies since they were nominated, implying it’s not exactly a word-of-mouth phenomenon. Would there have been such gloating reports if the band had given a more jocular press conference? Unlikely. The Mercurys need to decide if they’re a TV prize or a music prize. Channel 4 certainly needs to treat it with more respect. Maybe journalists should too – but it’s increasingly being viewed as an irrelevance. The theory goes, if it’s awarded to an artist that has nothing of interest to say publicly, why bother? Giving it to someone as unhelpful as Young Fathers and their team in 2015 may see a press blackout before the decade is out. The artists may be fine with that. Barclaycard and the Mercury Prize? Not so much. Click here for DIS' coverage of this year's Mercury Prize, including our report from the night plus features and reviews of all of this year's nominated artists.